The presidential office has reiterated that the establishment of an inter-Korean liaison office in the Gaeseong Industrial Complex in North Korea will not hamper Washington or Pyongyang’s efforts for denuclearization. 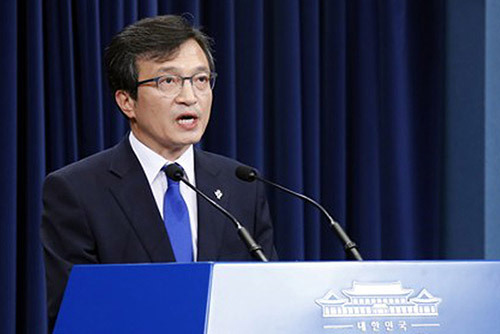 Presidential Spokesman Kim Eui-kyeom told reporters on Wednesday that setting up a liaison office in Gaeseong is regarded to be of a lower level than opening an embassy, citing that 24 countries have embassies in Pyongyang. Kim stressed that he believes that it is insignificant to debate whether it’s right or wrong to set up the liaison office when considering that the liaison office could become a diplomatic mission later and ultimately turn into the South's embassy in Pyongyang. Kim also commented on UN Secretary General Antonio Guterres’ hopes that the UN General Assembly, that will open next month, will lay the groundwork for supporting South and North Korea’s efforts to build trust on the Korean Peninsula. 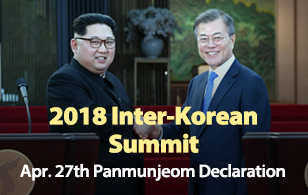 Kim said he hopes the two Koreas and the U.S. will have the opportunity to share with the world what headways they have made in improving relations. However, he was quick to add that the three countries will have to wait and see whether such an opportunity will emerge.